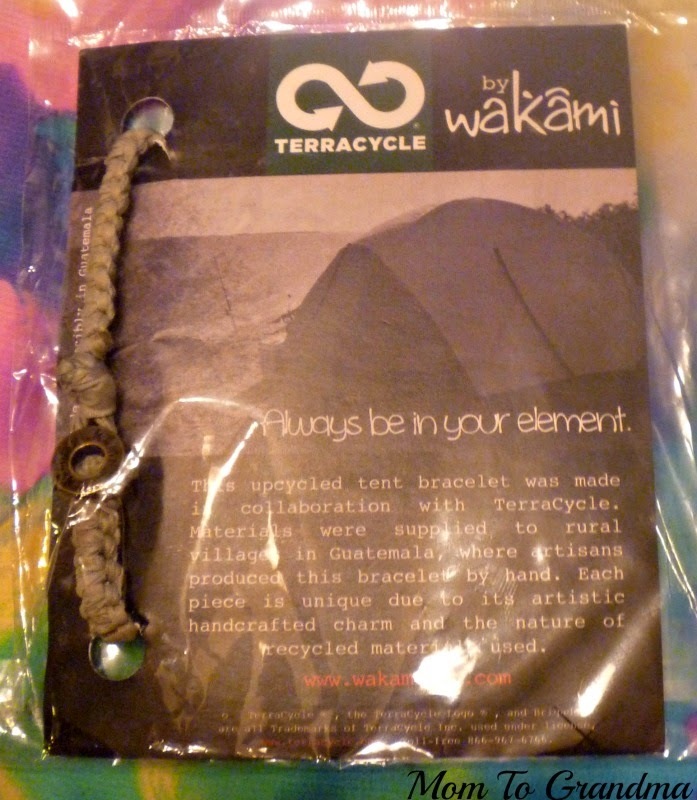 We had the opportunity to facilitate a review in exchange for a honest and unbiased review of the TERRACYCLE-TENT BRACELET from Wakami. 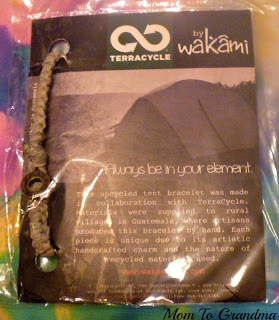 We received the TERRACYCLE-TENT BRACELET from Wakami. This tent bracelet was handmade by village artisans in Guatemala, using recycled materials. How cool is that! The unique tent bracelet we received was made in collaboration with Terracycle. It is 8 inches long, featuring a Zamak metal button. and a loop clasp. The materials to make this bracelet were supplied to the artisans in the rural villages in Guatemala, where they produced it by hand. Each piece is unique due to the artistic handcrafted charm and the nature of the recycled materials used. Wakami is a lifestyle brand that focuses on sharing positivity with people around the world, and enjoying life. Their accessories are all handcrafted with care by women in rural villages of Guatemala. Their goal, besides creating beautiful products, is partnering with theses artisan entrepreneurs so they can create a better future for their families and communities. The handcrafted products at Wakami are both charming and beautiful. They would make perfect Holiday Gift ideas.